I hade a huge jump on people pinning the Elmo Envelopes I made this past weekend and I felt like you all deserved a tutorial on it. Because I had made these with my Cricut, some of you might not have access to the Cricut or the Elmo Party Cartridge. So I designed the layout for it in Adobe Illustrator CS5. With a few minor adjustments. Step One: You want to print out the template on a 12"X12" White card stock. 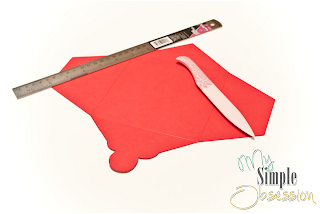 After it is printed you want to cut all the pieces out for your tracing template. 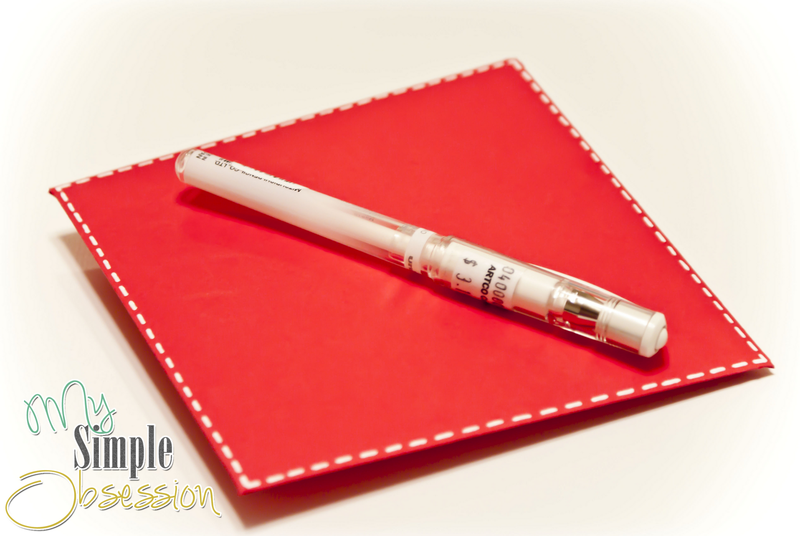 Choose the color's of paper you would like for each labeled piece and trace around your template. Once all the amount of pieces are traced, proceed at cutting them out. Step Two: Take the Envelope layout, ruler, and bone folder. You will take your ruler to line up where the fold marks are suppose to be on the envelope layout (just as shown on the template) and take your Bone folder and create a fold crease. This will make it so much easier to fold in the later step. 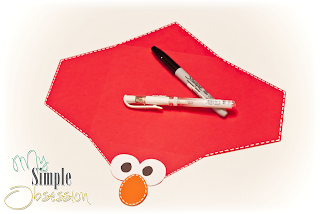 Step Three: You will need your Envelope layout, Elmo's Nose, Elmo's eye's, and the black sharpie. The small dots should be colored in with the black sharpie and then glued in place on the eyes. 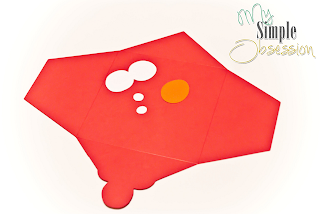 Once the eyes are created you will take that and adhere it to your envelope layout. Once the eyes are set, adhere the nose. Step Four: Take your White pen and create a stitching effect all the way around the edge of the envelope layout and the edge of the nose. You will want it to dry for at least 5 minutes before you continue to the next step. It should look like this at this point. Step Five: After the outer stitching has dried, you can go ahead and create a fold with the fold marks you created earlier. Once you have it folded. Place it so the backside is down and create another stitching effect on the front. And let it dry for 5 minutes. Step Six: Once the front is dry, flip it over and adhere the folded sides. 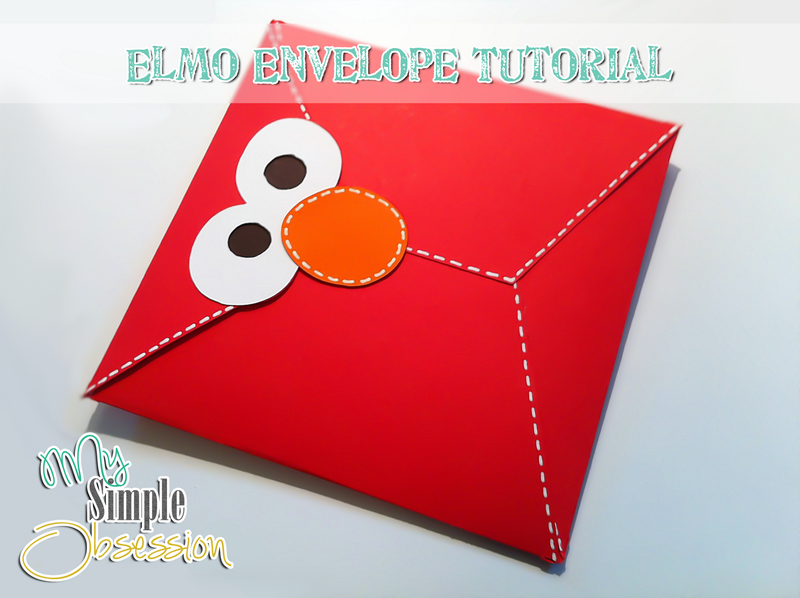 (EXCEPT the Elmo face part) Under the nose place a Photo sticker square or whatever you would like to adhere the envelope shut once your invite, card, or letter is inside. That's it! Your all done! 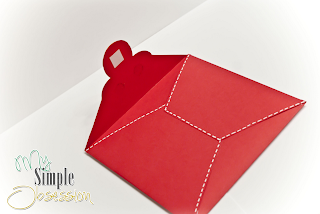 Now you have created a very cute envelope for your party invitations, card, or letter. Hope you all enjoyed this tutorial and I would love to see how all of them turn out. If you would like to submit your final designs please add them in my contact form and send them my way! This is one of the cutest things I have ever seen! I love Elmo. 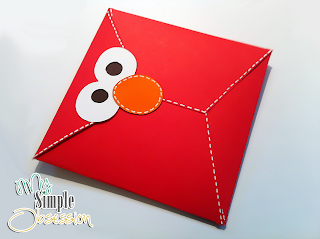 I am having an Elmo party for my daughter and these are perfect....what size card does this fit? Hello there, These are really Cute and I am wanted to make them for my daughters birthday..But I cant find the link for the template any were on your site. Can you point me in the right direction?! Hi there I think these are really cute and I am hoping to make them for my daughters birthday..but I cant seem to find the template any were on your site can you please point me in the right direction?! These are so cute. I was hoping to make them for my niece's birthday invitations. Would love to use the template. Where do I find it? Oh my goodness....I just had an elmo themed First birthday party for my baby boy about a month ago....wish I would have seen these sooner! haha! So cute!! I would LOVE to have you share these at my link party going on! I am your newest GFC follower....I would love to have you check out my site too! The tutorial is easy to follow...I might use Gift Card envelopes it and will give it a touch.